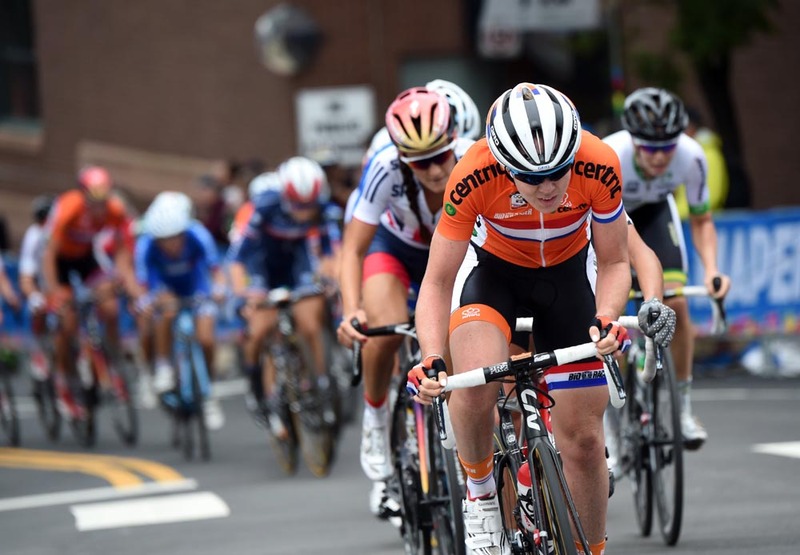 Lizzie Armitstead (Great Britain) out-sprinted Anna Van Der Breggen (Netherlands) to win the elite women’s UCI World Championships road race in Richmond on Saturday. She becomes the fourth British woman to be crowned world champion, following in the footsteps of Beryl Burton, Mandy Jones and Nicole Cooke. 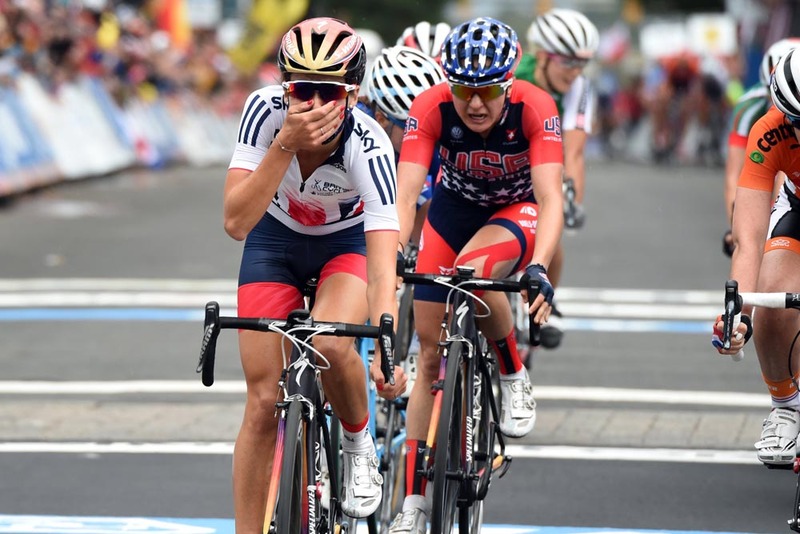 It was clear the victory meant a huge amount to Armitstead, who was almost in tears upon crossing the finish line. Despite finding herself in the undesirable position of having to lead out the bunch sprint on the finishing straight, the British rider held her nerve and slowed the pace down, waiting for someone else to make the first move. That move came from Van der Breggen, who Armitstead immediately responded to by latching on to her wheel, and just about managed to pass her before the finish line to win by half a bike length. Her victory was all the more impressive given that, as she crossed the finish line for the penultimate time to start the last lap, she appeared to be out of contention. At the front of the race were nine riders who broke clear on the penultimate lap, and now held a gap of around 40 seconds ahead of Armitstead and the rest of the peloton – a gap that at the time appeared to be unbridgeable. With most of the strongest nations all represented in that nine-woman group (among them Amy Pieters for the Netherlands, Audrey Cordon for France, Valentina Scandolara for Italy, Lauren Kitchen and Rachel Neylan for Australia), there was consorted chase from the peloton to bring them back. 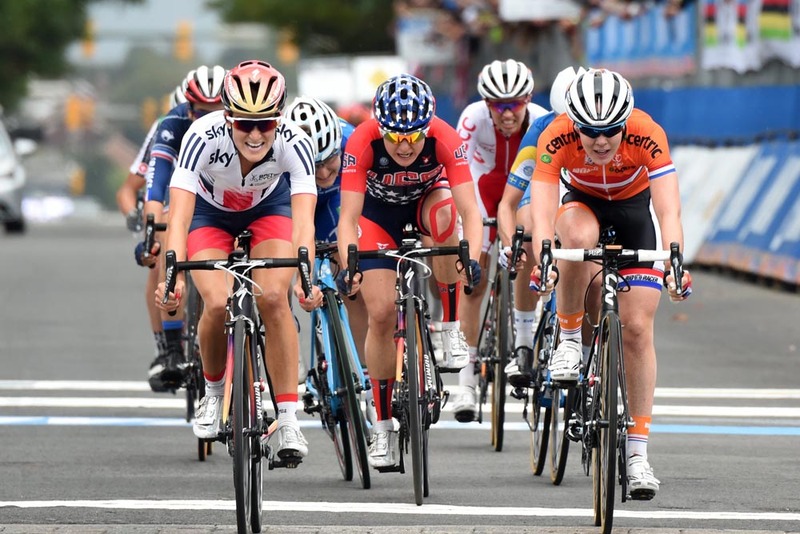 With no teammates left to help instigate a chase, Armitstead found herself in the frustrating position of having to sit back and hope another team would bridge the gap. Fortunately that is exactly what happened, when the Dutch team appeared to lose faith in Pieters’ ability to win them the race and started to set a fast pace in the peloton for Van Der Breggen. Their efforts were enough to bring the peloton back into contention, and set up a thrilling finale. On the last ascent of Libby Hill, most of the escape group were caught, aside from Scandolara ) and Kitchen, who had attacked a few kilometres earlier. The pair had a 14 second lead by the top of the climb. That gap turned out not to be enough on the next climb, where Armitstead moved to the front and helped reel them in. Her move was not enough to open up a gap for herself, however, and when a similar acceleration also failed to do so on the final climb, it became clear the race was going to come down to a sprint. 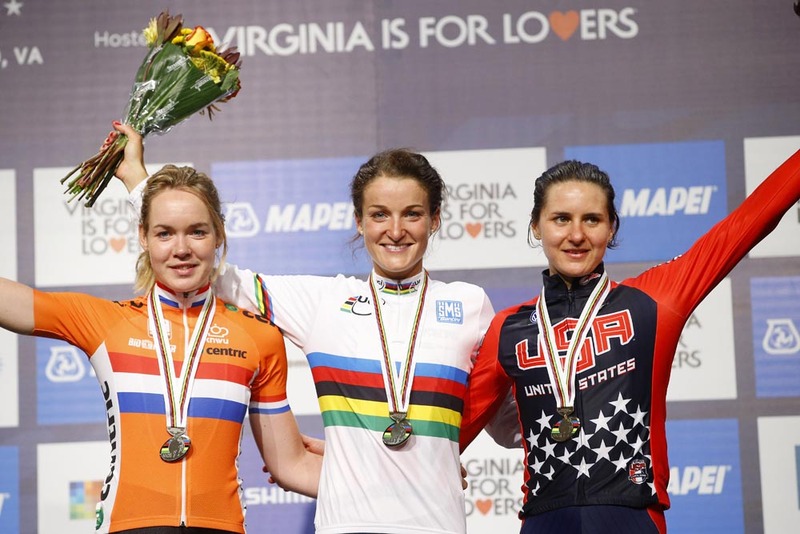 With only nine riders left in the group, and all of the most feared sprinters dropped in the chaos of the final few kilometres, Armitstead in theory possessed a sprint quick enough to win and duly delivered with exceptional composure and tactical awareness. Earlier in the day, Felix Gall (Austria) won the junior men’s road race ahead of Clement Betouigt-Suire (France) and Rasmus Pedersen (Denmark). Great Britain’s Nathan Draper placed eighth.